The Grade XII students of JM International School found a reason to celebrate as they performed exceptionally well in the Class XII examinations of the Central Board of Secondary Education (CBSE).They rejoiced their success along with their principal, teachers and friends. Ms Anuradha Govind, the School Principal, congratulated all the students as well as the teachers. The top score in both Science and Commerce was 95% which was achieved by Kunal Mohadikar and Shruti Badoni respectively. 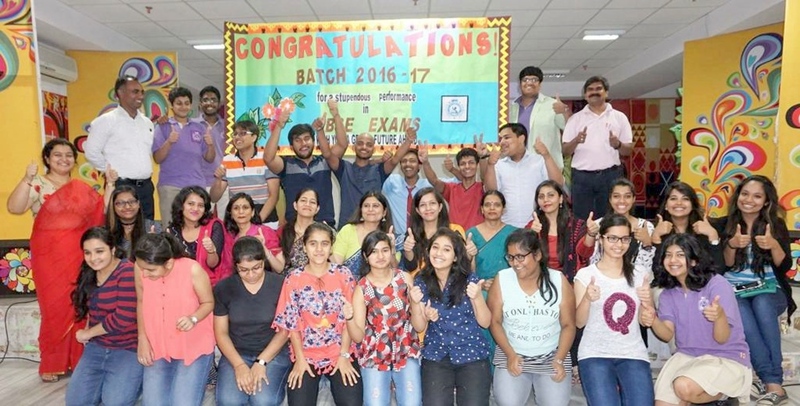 100% students cleared the examination along with 98% First Divisions. It proved to be a day of commendation, appreciation and merrymaking. It was equally an emotional and overwhelming moment whilst the students expressed their gratitude towards their teachers, walking down the memory lane and shared their nostalgic experiences in the school. Students also shared their future endeavors and promised to keep excelling in their lives. As you sow, so shall you reap ! ANHLGT to make Dwarka better and ensure cent percent voting by ladies of Dwarka.